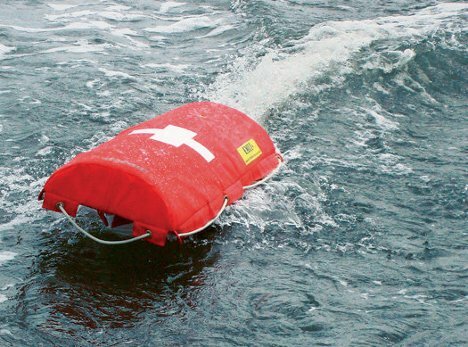 It’s not every day that a robot willingly takes to the water to save a human life. 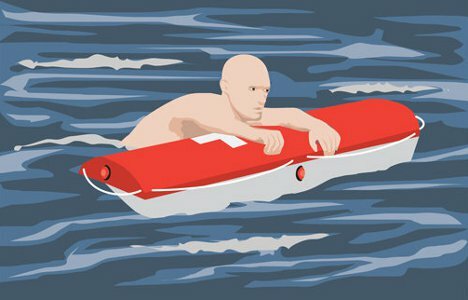 But this summer, real robot lifeguards will start dragging troubled swimmers in to shore at Malibu’s Zuma beach. The robot, called EMILY (EMergency Integrated Lifesaving lanYard), is about the same size as those iconic red-orange rescue cans most of us remember from Baywatch. But that is about where the similarities to human lifeguards end. EMILY can speed through the water at 28 MPH, or roughly six times as fast as a human. 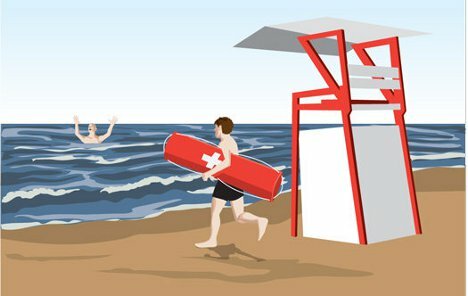 The current iteration is remote controlled, requiring a lifeguard to stand on the beach and guide it to a victim. But future versions of EMILY will be equipped with sonar, allowing the bot to identify underwater movements consistent with a distressed swimmer and swim right toward him. Since the entire robot is a flotation device, all swimmers have to do is grab on and keep hold while EMILY speeds back to shore. The bot can go up to 80 miles on a single charge and is so tough that it can even be dropped from a helicopter or a ship. An integrated camera lets the human/s behind the rescue effort watch the rescue unfold from a first-person view. 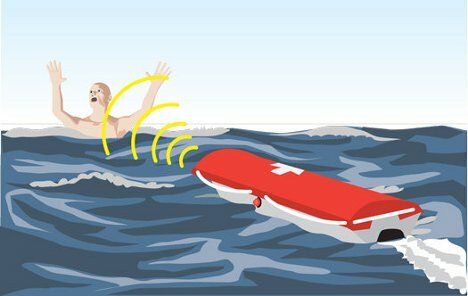 Integrated speakers allow the lifeguards to communicate with the swimmer, calming him and giving him instructions until he is rescued. See more in Robotics or under Technology. May, 2012.